Welcome Whether you are thinking of installing central heating for the first time or even if you want to improve your existing system we can offer you the products, installation service and expert advice that you need. Installing a modern central heating system has been shown to increase not only your family's personal comfort but also the value to your home. Our specialists will provide you with professional advice and service you need to make sure you make the right choice. About Us When it comes to Specialist solar and unvented systems we can give you expert advice on twinning these with gas fired boilers whether conventional or combi systems. We can also advise you on radiators on compliment your home whether you want a traditional look or a modern look. 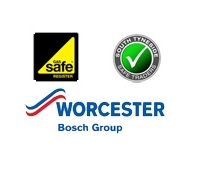 Our Services Highly Efficient heating offer a wide range of heating, plumbing and gas services.